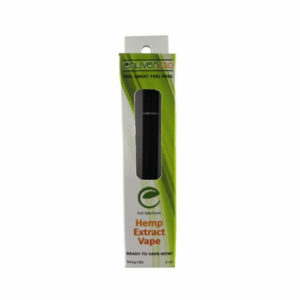 Product Description: CBD plus all the beneficial naturally occurring Cannabinoids makes our Full spectrum hemp extract truly everything you need. I was really excited to try this vape pen. The styling is very nice. It’s small, sleek and seems very modern. It looks a lot like the Hmbldt pen in terms of look and feel. As mentioned previously, most of the CBD-only products taste awful so I didn’t have very high hopes here. To be polite, let’s just say the flavor was about what I expected. I prefer edibles for longer lasting effects, so I’ll plan to stick with my edibles. As far as vape pens are concerned, I’ve had better. On the v2 product iteration, I’d recommend mixing in some flavoring to help soften the strong flavor.